Gordon, of Aiken, S.C., conducts research under the guidance of Professor Peter Nylen in the College of Sciences and Mathematics’ Department of Mathematics and Statistics. 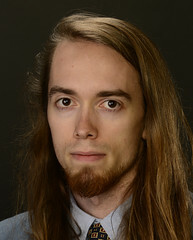 He is also an undergraduate teaching assistant with Professor Joe Perez in engineering physics and he previously participated in a research group studying computational Rydberg atomic physics. Gordon’s primary research involves “partial distance matrix completion with multilateration applications to wireless sensor network localization” and his publications include an article in the Journal of Physics B: Atomic, Molecular and Optical Physics. Gordon will travel to Budapest, Hungary, in June to participate in the Budapest Semesters in Mathematics summer program at the Technical University of Budapest.